Sarah McNeill is a well-seasoned actor, the arts editor at The Post Newspapers, and the brains behind Lit Live. We are lucky enough to also have Sarah on the committee of this year’s Australian Short Story Festival! We had a chat with Sarah about her monthly event Lit Live and the her relationship, as an actor, to the short story form. Sarah also gives us a snippet of what life as an Australian Short Story Festival committee member is like. 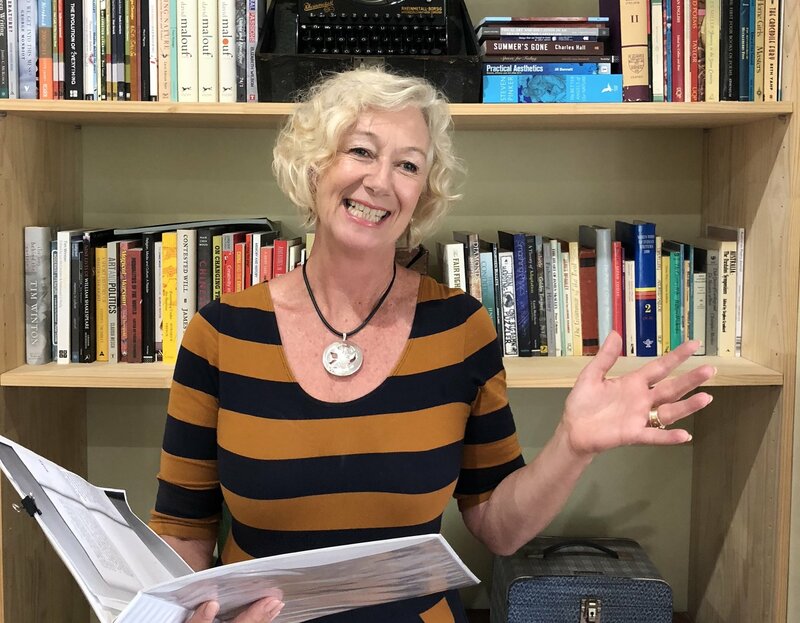 What’s a day in the life of an Australian Short Story Festival committee member like? What are you looking forward to at the Festival? I’m afraid it just means reading a lot emails! I sat on the committee to provide an artist’s perspective and I’m delighted to be introducing a musical element to the story readings, as ballads are the ultimate short story. Also, Lit Live will have actors reading fiction by some of the festival participants. You’re the brains behind Lit Live, a monthly event held at the Centre for Stories where actors read literature live on stage, which is also on the Festival’s program. How did you come up with the idea for it? I love podcasts and I love listening to plays and stories. As a performer, I love telling stories. Stories are an essential part of our culture, our learning, our empathy and our entertainment. I had heard that they do it live on stage in New York and, after asking around, I became aware of the number of adults who thought that sitting relaxing with glass of wine and listening to good stories told well was a great idea. Centre for Stories was incredibly generous in letting me trial it – and it’s been a great success! What has been your favourite theme at Lit Live, and what’s been your favourite story to perform live? Why? I don’t have a favourite theme, but there have been a few favourite stories, like “Potholes” from MR Press’s collection Trouble with Flying which I think is a charming and potentially life-changing story. It’s one of those ones that makes you look at the world a little differently. I loved doing one called “The Ghosts in Your Vintage Clothing” because so many people, like me, wear recycled clothes and the idea that they may be haunted makes me smile. I also loved reading Brenda Walker’s new story with Brenda present – nothing like a few nerves! At the Festival, you’ll be discussing the differences between the long and short form with Julia Prendergast and Luke Johnson. Do you prefer one form over the other? No, they both have such a different life. A short story captures the heart of a moment but I love novels for their sprawling, epic journeys. Do you have a favourite short story or short story author? Right now I am loving the stories by BJ Novak (writer of The Office). His writing is smart, quirky and funny. I love American authors for their humour. I love English writers for their subversive wit and I love Australian authors for their darkness. It’s really hard to find funny Australian writers! How has short stories influenced your work as an actor? How has the act of telling or performing a story evolved for you? Well, performing a short story means I don’t have to learn any lines! That’s a bonus! I find it interesting and challenging to create the mood, the character and draw an audience into a moment in just 10 minutes. It’s a lovely challenge for a performer. Sarah McNeill has appeared at Effie Crump Theatre, Perth Theatre Company and Black Swan State Theatre Company. Her Lit Live event is a monthly event at The Centre for Stories. Grab tickets to Sarah’s Festival sessions here!